Now that we had a clean slate, we needed to decide what we should do with it. The thought was to re-create what was already there… a clean stepping stone walkway, but the worry was that it would eventually turn back into the juggle that we just cleared. We finally decided to simply re-sod the walkway. 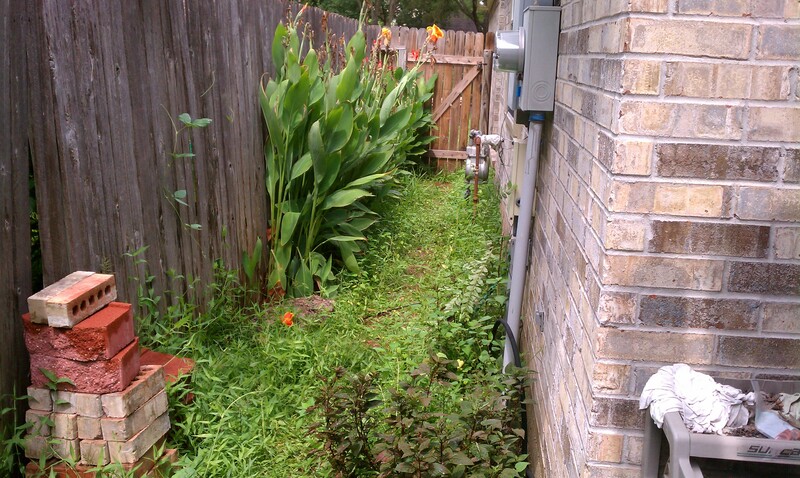 In the grand scheme of things, we eventually plan to make this house into another rental. 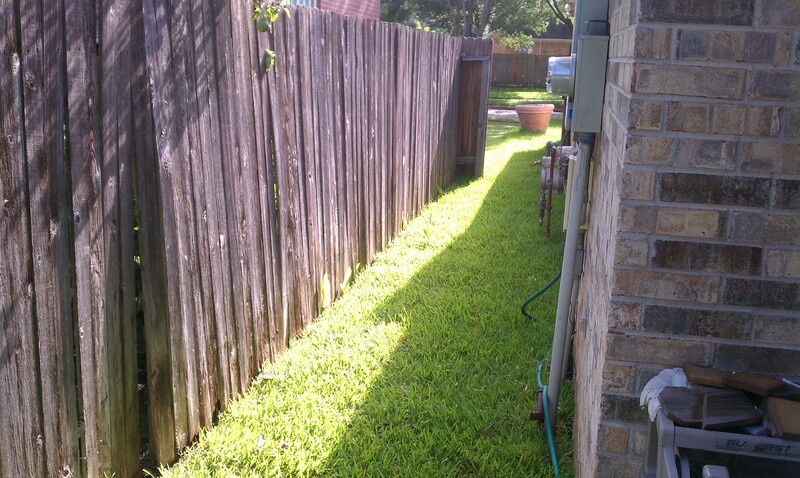 If the walkway was too much work for me (the homeowner) to maintain, then I could expect a renter to just let it grow like crazy and I would be hit up with the HOA fees. 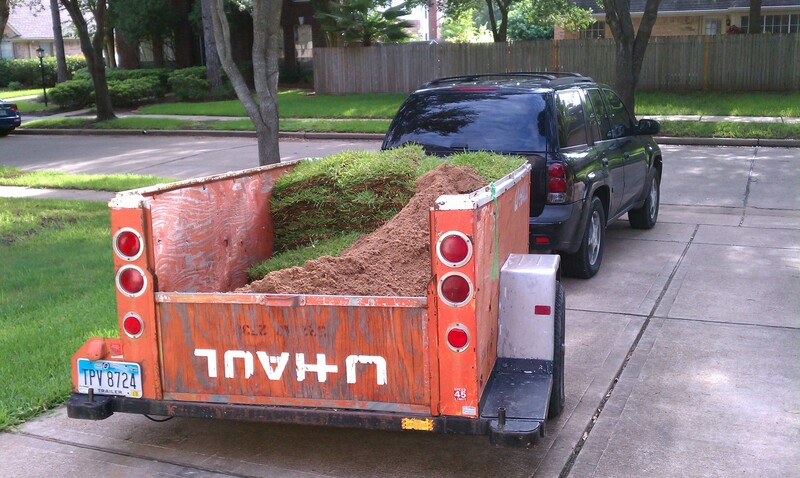 After that realization, laying new sod didn’t seem like too much of a sacrifice. 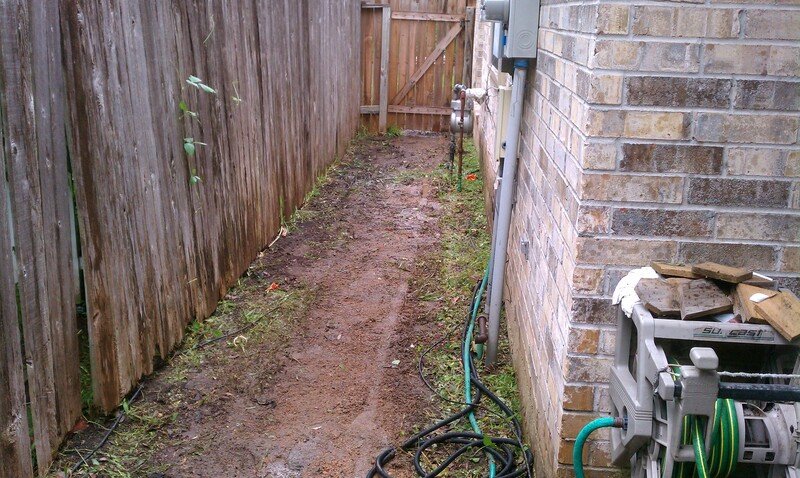 With my trusty trailblazer, uhaul trailer, shovel and wheel barrel, I was able to knock out the job in about 3 hours. After I was done, Sheena, Layla and Mom came back from Houston Garden Center and began planting all the plants they purchased. I was beat from the work I did, so I showered up and watched Layla while they did their thing. very nice pal. you are a hard worker! keep it up. What did you do with the tall plants? They looked pretty. Great job, either way!